The North Pacific Research Board (NPRB) has awarded over $415,000 to Dr. Rob Campbell and PWSSC for his project “High frequency observations of the secondary (zooplankton) production cycle in Prince William Sound”. It’s an exciting opportunity because resource management agencies have traditionally focused on a “single species” approach. Ecosystem approaches to managing marine resources are very difficult to implement. 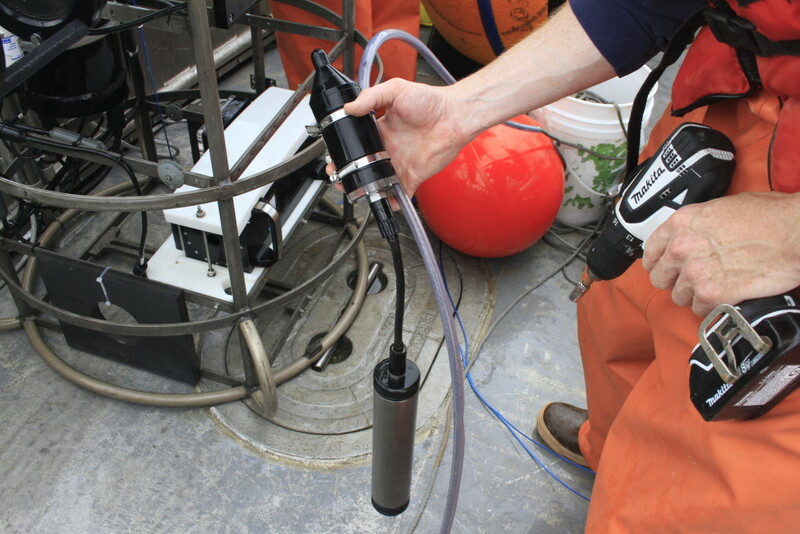 For the past two years, Rob has been managing a robotic ocean instrument (the autonomous moored profiler, or AMP) that is anchored in central Prince William Sound making daily “dives” to collect data about ocean temperature, nutrients, and the primary productivity (plant plankton) that forms the foundation of the food web. This grant will allow him to add a cutting-edge zooplankton imaging system that will allow us to detect what is happening one step up from the foundation of the food web. Since zooplankton are eaten by all the commercially important fish species in the region, as well as birds and marine mammals, understanding what drives zooplankton abundance can allow us to better answer questions about fisheries productivity. Using a research vessel is so expensive that oceanographers typically don’t have the opportunity to collect several months worth of daily data. The AMP is a great platform for understanding ocean dynamics in a way that traditional research cruises cannot, because it is in the water for months at a time gathering data on a much more frequent basis. This will allow us to construct a clearer picture of the ocean processes responsible for fisheries productivity. Please join us in congratulating Rob on the grant award…and stay tuned for updates on this four year-long project!